They say that Ovarian Cancer whispers. It is a silent killer. The symptoms are often attributed to GI issues (bloating, abdominal pain, difficulty eating, going to the bathroom often), there is no reliable screening method, and it is hard to find in its early curable stages. My mom experienced these types of symptoms. By the time doctors took a closer look, they discovered ovarian cancer in advanced stages. She lived for a little over a year. Not a day goes by that I don’t think about and miss her. Ladies, please educate yourselves about the symptoms and risk factors associated with ovarian cancer. Has anyone in your family been diagnosed with ovarian cancer? How about breast cancer under the age of 50? Male breast cancer? Two members on the same side of the family with any of these cancers: breast, ovarian or fallopian, prostate, pancreatic, or melanoma? These signs may point to hereditary cancer. If you suspect the cancer in your family may be hereditary, it is important to consult with a genetics expert. Find one here. 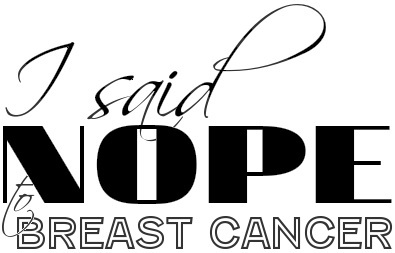 This entry was posted in All and tagged BRCA, HBOC, health, Hereditary, OC, ovarian cancer, Prevention, Previvor, Risk factors, Screening on September 30, 2014 by nope2BC.